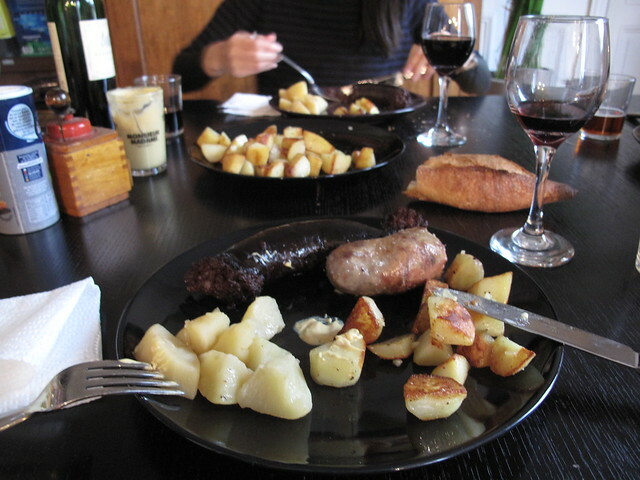 Midweek dinner at our friends’ centered on the sausages we had bought in Troyes. Andouillette over boudin any day and it could be even tastier with kway chap‘s tangy spicy chilli sauce. Not that blood is unappetising, it’s just that I prefer it in cubes in mala hotpot soup. i miss that at times. 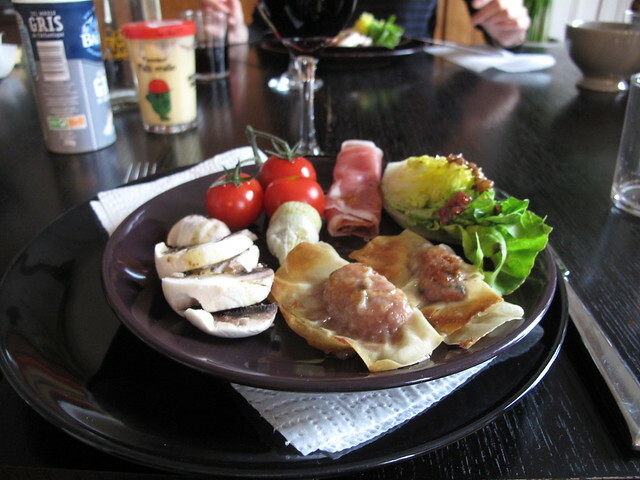 🙂 By the way the one on the photo is andouillette. Andouille that is popular in France is from Brittany, from Guémené.